Spanish astronomers spotted a meteorite with a mass of about half a tonne crashing into the lunar surface last September. They say the collision would have generated a flash of light so bright that it would have been visible from Earth. The event is reported in the Monthly Notices of the Royal Astronomical Society. “This is the largest, brightest impact we have ever observed on the Moon,” said Prof Jose Madiedo, of the University of Huelva in south-western Spain. 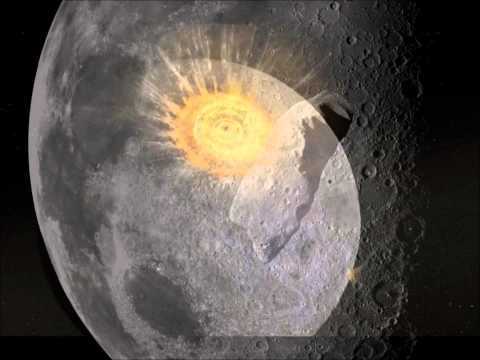 “Usually lunar impacts have a very short duration – just a fraction of a second. But the impact we detected lasted over eight seconds. It was almost as bright as the Pole Star, which makes it the brightest impact event that we have recorded from Earth,” said Prof Madiedo. They believe the dense mass, which had a width of 0.6-1.4m (2-4.6ft), hit with energy equivalent to about 15 tonnes of TNT. The team believes the impact has left behind a 40m-wide crater. “That’s the estimation we have made according to current impact models. We expect that soon Nasa could observe the crater and confirm our prediction,” said Prof Madiedo. It would be one of many scars on the lunar surface. Unlike Earth, the Moon has no atmosphere to shield it from meteorite collisions, and its surface shows a record of every strike. both on the Moon and on Earth. However, most rocks of this size would burn up as they entered the Earth’s atmosphere, appearing as a fireball in the sky. For meteorites to make more of an impact here, they need to be larger. For example, the asteroid that exploded over Chelyabinsk in Russia on 15 February 2013 was estimated to be about 19m wide. It hit the atmosphere with energy estimated to be equivalent to 500,000 tonnes of TNT, sending a shockwave twice around the globe. It caused widespread damage and injured more than 1,000 people.